The Concertina by Gear4music in the key of C and G is a compact version of an accordion with buttons on either side of the instrument. Suitable for traditional classical and folk music, this 30 note Anglo style concertina has a authentic sound that projects well. 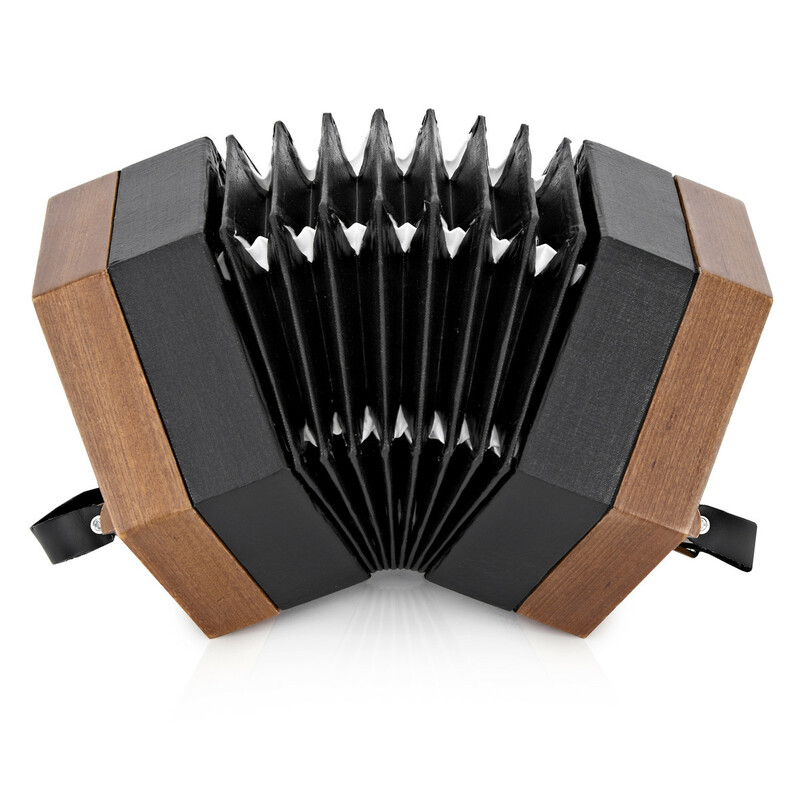 The concertina also includes two adjustable hand straps and a sturdy wooden frame. 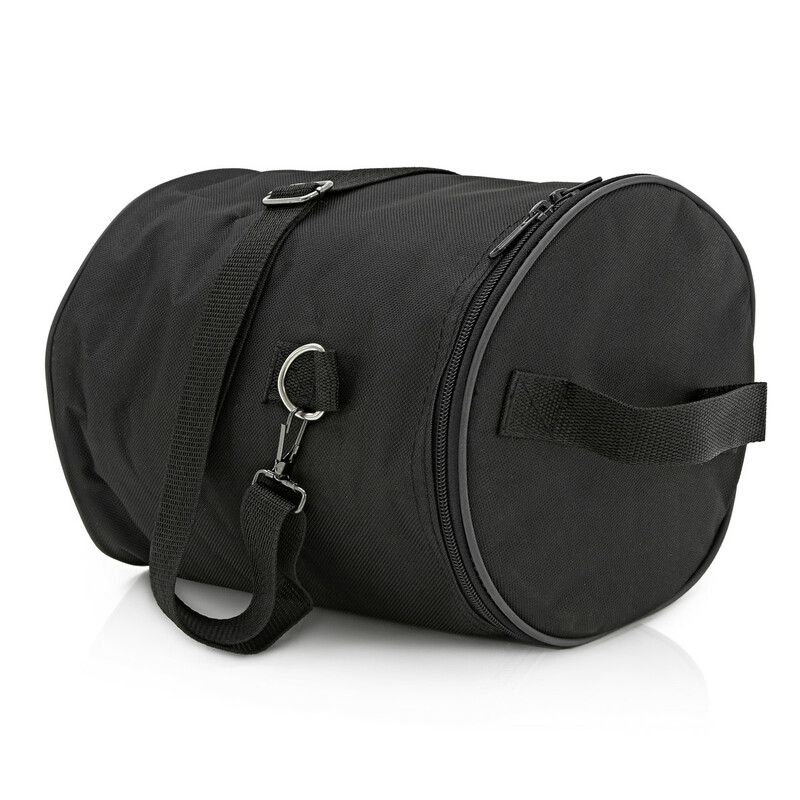 Also included with the concertina is a fabric zip-up bag. 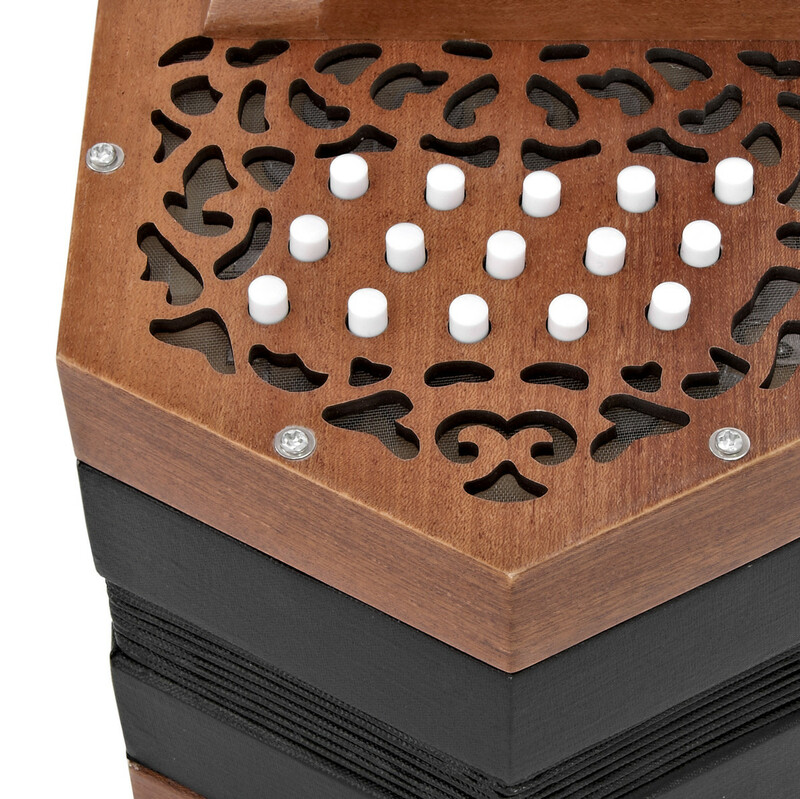 The Gear4music concertina features the Anglo system, which is most common in dance and folk music such as shanties, Irish and Morris music. Two notes can be created from the same button depending on whether the bellows are pushed or drawn. This allows the performer to be able to play a tune in the right hand and play chords in the left. This concertina is a suitable accompaniment to many dances and for orchestras. The bellows of the instrument create a real contrast in volumes and tone, meaning it can be heard even the loudest of ensembles. 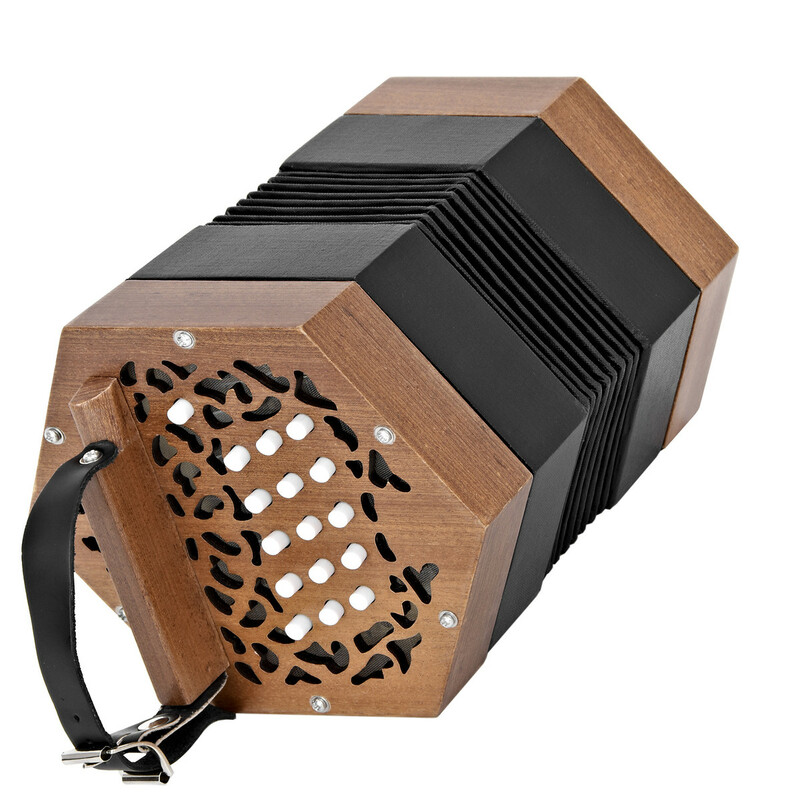 The sound of the Gear4music concertina is very authentic, meaning it will blend in to any folk ensemble easily.